The Tibetan Singing bowls are widely used as an aid to meditation. They are also used in yoga, music therapy, sound healing, religious services, and for personal enjoyment. 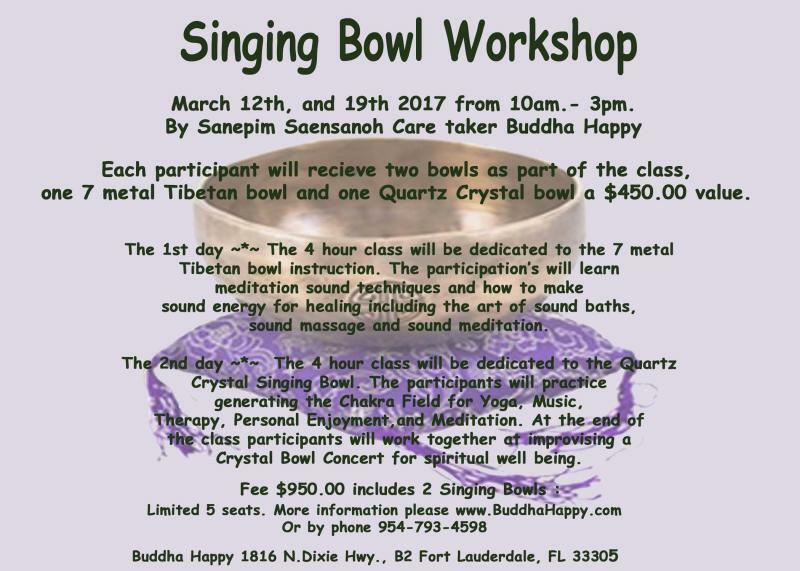 Tibetan Buddhist often use singing bowls as a signal to begin and end periods of silent meditation, perform ritual, and ceremony. Reserve your seat by Phone 954-793-4598 Alternate: 954-916-7649 ( Hour 10.00 am.-6.00 P.M..). 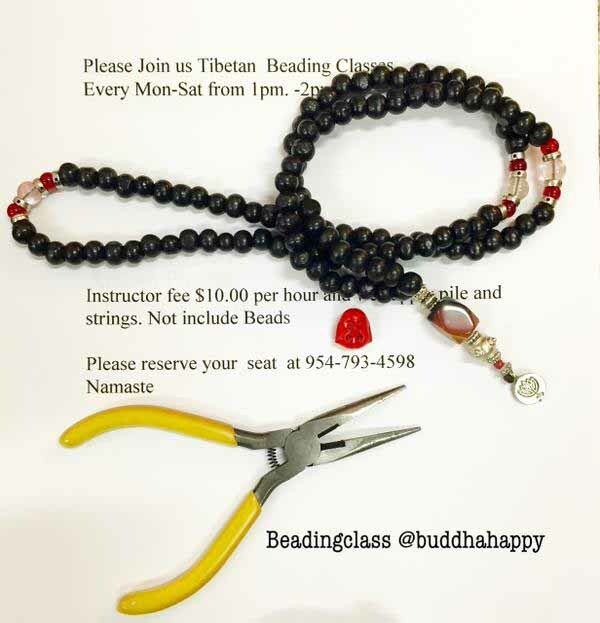 Tibetan Mala & Beading Classes. Learn how to craft your own hand made Tibetan Charm, Mala, Bracelet,or Necklace. Walk-ins and special group classes welcome. Class fees $ 10.00 per hour per student and we supply piles,cords,and tassel. (Beads & Charms of your choice not included). Buddhist prayer beads are a traditional tool used to count the number of times a mantra is recited whilst meditating. They are similar to other forms of prayer beads used in various world religions; thus some call this tool the Buddhist rosary. Also you can purchase finished ones from BuddhaHappy store.